This Vehicle is Only 5 months old and comes with a Clean Carfax. Too many fleet and rental vehicles coming back in and it's a great time to take advantage of that. 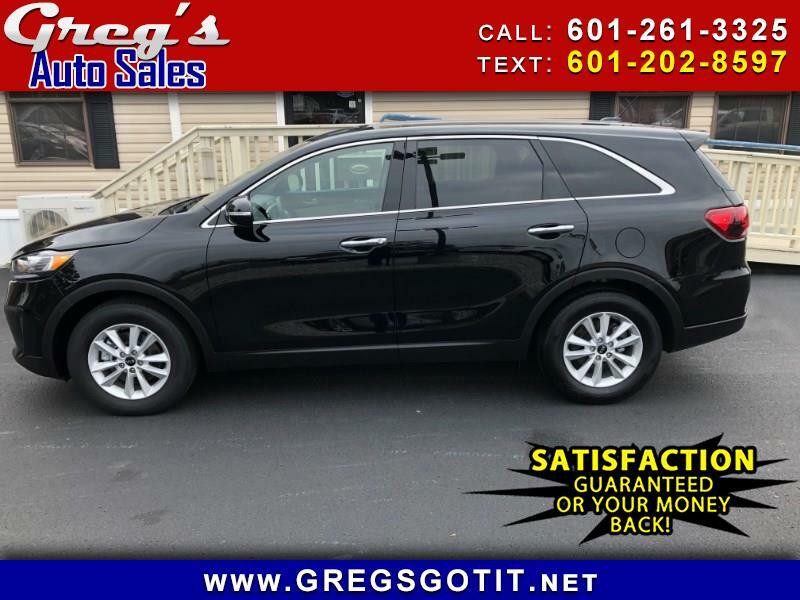 This 2019 KIA SORENTO LX V6 has remainder of Full Factory Warranty. Third Row Seating, Backup Camera, Blind Side Sensors, Multi Function Power Front Seat, Dual Electronic Climate Control A/C, 2nd and 3rd Row Side Airbags. I drove this vehicle home and it is really impressive. The Acceleration was Great, Handling and Ride was as good as anything I've ridden in. The MSRP on this vehicle is well over 30K. We are pricing ours for $23888. Just 5 Months Old and like new. All Cars sold at Greg's comes with a 5 Day Money Back Guarantee no Questions Asked. Come see why South MS and beyond have been doing business with Greg's For over 34 Years.